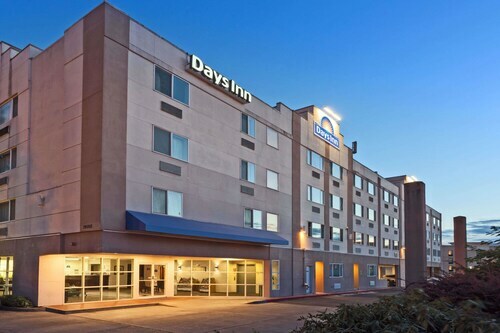 Just 0.5 mile from the Seattle airport, this 5-story hotel is within 2 miles of Southcenter Mall, 6 miles from the Museum of Flight, and within 14 miles of downtown Seattle and Pike Place Market. 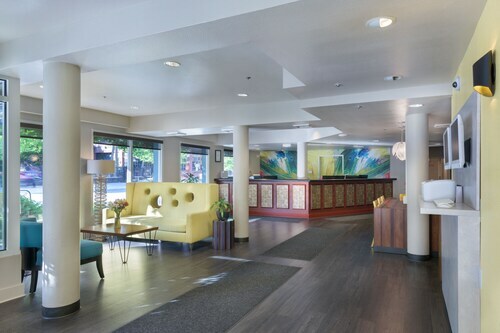 Center of activity Set in the Lower Queen Anne neighborhood, this hotel is 2 blocks from Seattle Center and 1.3 miles from Pike Place Market and downtown Seattle. Terminal 91 Cruise Facility is 1.5 miles from the hotel. 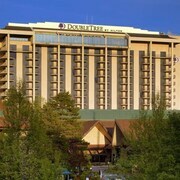 Situated near the airport, this hotel is within a 10-minute walk of Silver Dollar Casino and Angle Lake Park. Valley Ridge Park and Hydroplane and Raceboat Museum are also within 3 mi (5 km). Angle Lake Station is 14 minutes by foot and SeaTac-Airport Station is 21 minutes. 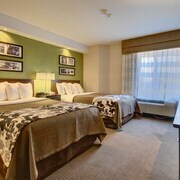 This downtown Seattle hotel is in Belltown, within one-half mile of Seattle Center, Westlake Center, and Pike Place Market. The Space Needle and Seattle Aquarium are within 0.75 mile. 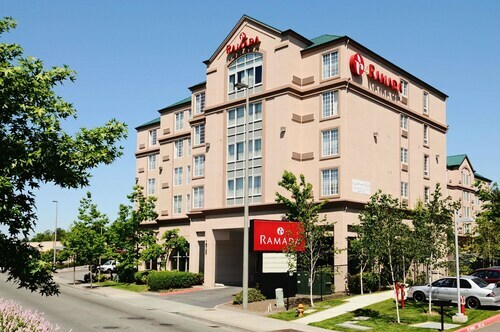 Red Roof Inn Seattle Airport - SEATAC is within a 15-minute drive of attractions like Westfield Southcenter mall and the world-renowned Museum of Flight. Guests can also visit the Space Needle or Pike Place Market, both around an hour's journey by light rail from the nearby station. 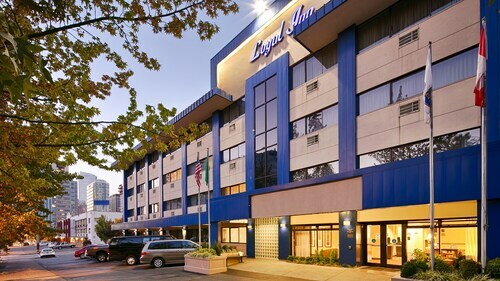 Less than a mile from the airport, this 4-story hotel is within 16 miles of downtown Seattle, Pike Place Market, and Seattle Center. This Seattle hotel is less than a half-mile from Pike Place Market, the Space Needle, and the Key Arena. 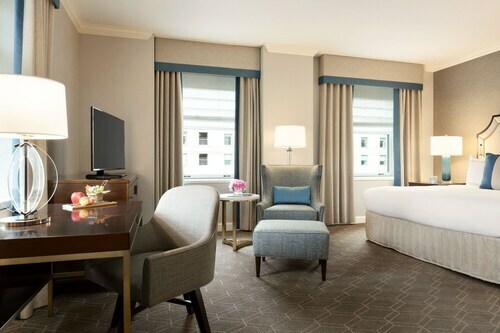 Built on the original site of the University of Washington, this grand hotel is just a few blocks from the Seattle Art Museum, Pacific Place shops, the Pike Place Market, and the convention center. Located in the Central Business District, Loews Hotel 1000, Seattle is a great choice for travelers interested in shopping, culture and food. The Seattle Art Museum is 3 minutes' walk away. The Seattle Center is a 5 minutes' drive away, Pike Place Market is a 7 minutes' walk, and Pioneer Square is a 6 minutes' walk from the hotel. The Port of Seattle is 2 minutes' drive and it welcomes popular cruise ships. SeaTac International Airport is 14.3 miles away and the Washington State Convention Center is 17 minutes' walk from the property. Located in Downtown Seattle, this luxury hotel is steps from Seattle Central Business District, Seattle Waterfront, and Pike Place Market. Original Starbucks and Moore Theater are also within 5 minutes. Westlake Station is 6 minutes by foot and Westlake Ave Hub Station is 6 minutes. Set on nine acres in the heart of Bellevue, this boutique garden retreat is within walking distance of the shops at Bravern and minutes from Bellevue Square Mall. 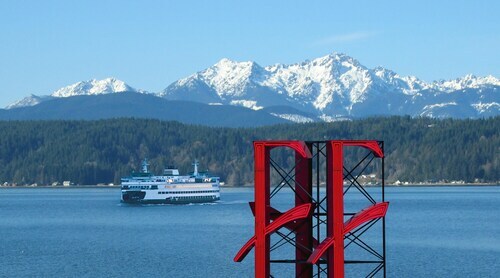 Seattle and other regional attractions are easily accessible. How Much is a Hotel Room in Seattle? Hotels in Seattle start at C$85 per night. Prices and availability subject to change. Additional terms may apply. “True love and art shall flourish here; the heart's sweet, tender theme. Upholders of the truth here dwell, the dreamers of the Dream.” That’s Seattle, Washington’s official city song, and it could not be more accurate. If you have been dreaming a dream of Seattle, it is time to make it a reality. 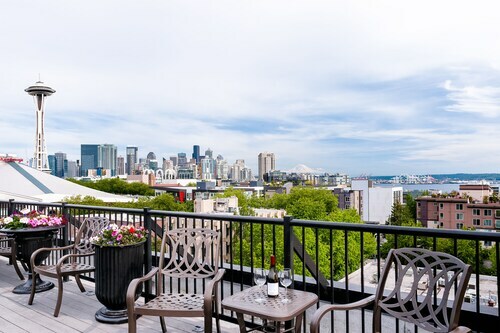 Those dreams surely involve beautiful scenery and world-famous landmarks, but perhaps they also involve local art, delectable dining, a chilled glass of craft beer, or even on of the best boutique hotels in Seattle. These are the details to consider when it comes to deciding where to stay in Seattle, because in a city this diverse, there is much to see. 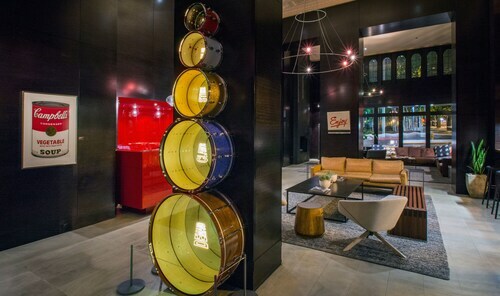 Seattle lodging is as varied as the city in which it resides, and just as extraordinary, too. Whether your focus is on seeing the top attractions or branching out to explore all the nooks and crannies of the neighborhoods, a room that is convenient to your top priorities means you’ll have that much more time to enjoy all that the city has to offer. Waterfront: In a city whose reputation is built on equal parts gorgeous surroundings and delectable seafood, a stay at the water’s edge seems only natural. 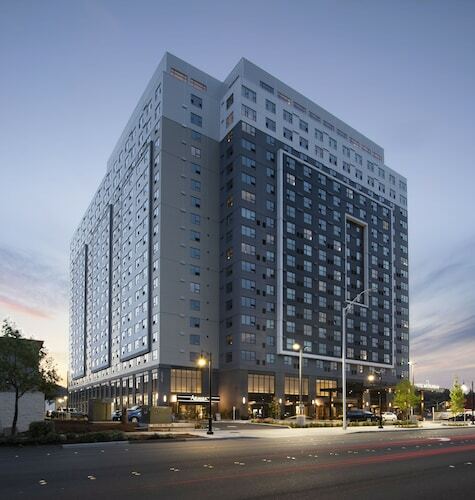 And at Seattle Marriott Waterfront, top attractions like Olympic Sculpture Park, Pike Place Market, and the Great Wheel, are just a leisurely stroll away. 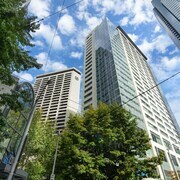 Downtown: For those who like to stay connected, downtown accommodations like The Westin Seattle is a great choice. The light rail’s Westlake Station is just a few steps away. Spend a day browsing the art galleries of Pioneer Square, then another exploring the wonders—and amazing photo opportunities—of Chinatown. Off the beaten path: Seattle is filled with locals-only spots and unique finds. Try South Lake Union for days spent kayaking or relaxing lakeside and evenings chatting with friends in the local cafe. Or, head north to Fremont or Ballard for an artsy getaway—and to befriend the famous Fremont Troll. On-site dining: To put a new spin on an old saying, “The way to any city’s heart is through its food.” At Loulay Kitchen & Bar at the Sheraton Seattle Hotel, chef Thierry Rautureau serves up French fusion with local ingredients, resulting in masterpieces like crab beignets and Oregon quail. Did we mention he is a James Beard award winner and “Top Chef Masters” contestant? You truly cannot go wrong. Everyday conveniences: Sometimes, it’s the little things that make all the difference. The four-star Paramount Hotel understands that. Speed through emails or social media time on the complimentary fiber optic Wi-Fi, relax in front of your 50-inch LED TV at the end of a busy day, then phone the concierge for the finest dinner reservations in town. Discovery Park: The calls of seabirds over Puget Sound and the soft sand between your toes on the tidal beaches make it easy to forget that these picturesque lands are only 6 miles from downtown. Ballard Locks: The perfect symphony of man and nature is on display at the famous locks, where tenacious salmon and steelhead make their journey home to spawn as they have done for hundreds of years. Washington Park Arboretum: The sweet scent of flowering trees fills the air year-round at this sanctuary in the eastern part of the city. We leave you with one more important quote, traveler. “Take only memories, leave nothing but footprints.” Chief Seattle was a wise man, and you are a wise wanderer. That’s why you’ll book cheap hotels in Seattle on Travelocity, and leave some of the planning to us. We’re more than happy to help. 2 days ago by A verified traveller from White rock B.C. 1 morning made did not make bed./ and no clean linens. no water except pay for it. some staff at front desk didn't know directions when ask. Staff was helpful and did their best to resolve noise issue on our floor. Facility is starting to show wear and tear-seems like some updating is appropriate.